I started my interest in engineering when my (male) careers teacher said "Girls don't go into engineering – which is a shame as it's a great career." I can now say that he was right – on both counts! I have had (and am still having) a great career. It has been wonderfully varied, challenging and fulfilling. It has taken me across the world although now I am England based and I have been able to flex what I do to suit my aspirations and balance home life. Most importantly for me, I am making a positive difference to people's lives and the environment – and that feels great. My time in Nepal as a fresh graduate had a big impact on me. There I worked on water supply, roofing solutions and micro-hydropower and saw the hugely positive impact engineering can make. Clean water, a roof over your head and the chance for a light bulb in the long winter months – these are the foundations of life and livelihoods which many of us take for granted. I returned to UK inspired, humbled and determined to develop my engineering skills further. I have worked in private, public and third sector organisations and currently work in the Environment Agency as a Director in Flood and Coastal Risk Management. 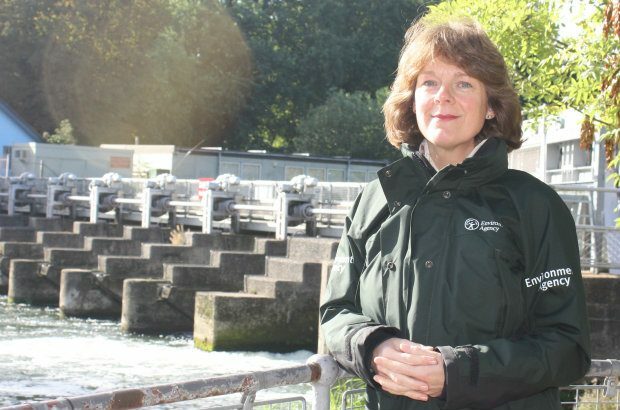 When I joined the Environment Agency, I didn't expect to stay for 20 years, but I have. This is because I have been able to do lots of really interesting things and several different roles – project management, operational delivery, strategic thinking – all within the one organisation. I have been supported through two lots of maternity leave, worked part time for a few years, and can work flexibly all of which has been so important to me in helping me balance home life. So has it been a golden pathway all through my career? No, not entirely. There have been challenges along the way, as there are for everyone in any career. It is a very male dominated industry with the associated culture, but it is opening up so much more now. And I found that taking a positive and pragmatic approach to situations enabled me to rise above some of the petty challenges. Through doing a good job and maintaining a sense of humour I found that I earned respect from my male colleagues and being a woman was often an advantage. Engineering is a great career and there is a world of opportunity out there – (literally!) – so I'd encourage anyone with a sense of adventure, a creative mind to find solutions to problems and a desire to make a difference to people's lives to give it a try. The Environment Agency is committed to increasing opportunities for women interested in an engineering career and has developed a Flood and Coastal Engineering degree course in partnership with Brunel University London.